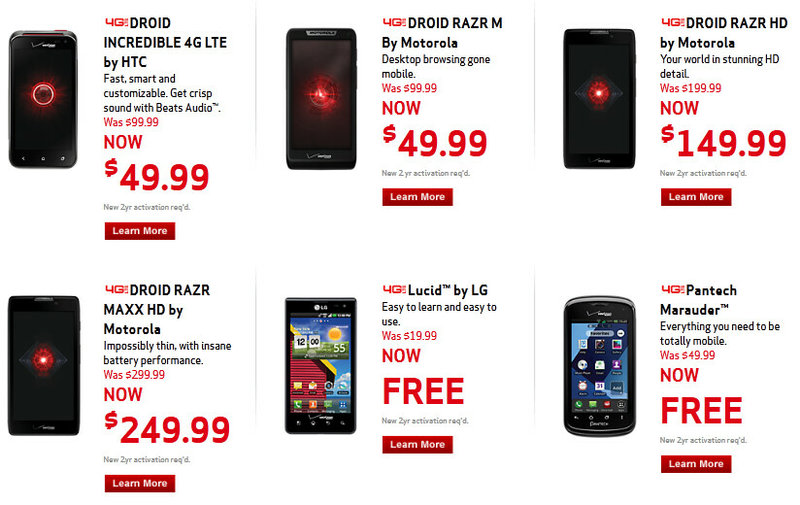 Verizon has some holiday deals for you, as long as you sign a two-year contract. Let's start with the $50 haircuts on the Motorola DROID RAZR HD and the Motorola DROID RAZR MAXX HD. The Kings of the DROID line at Big Red can be yours for $149.99 and $249.99 respectively. While the 3300mAh battery on the Motorola DROID RAZR MAXX HD keeps your lights on for a long time, the cell on the Motorola DROID RAZR HD is no slouch either at 2530mAh. 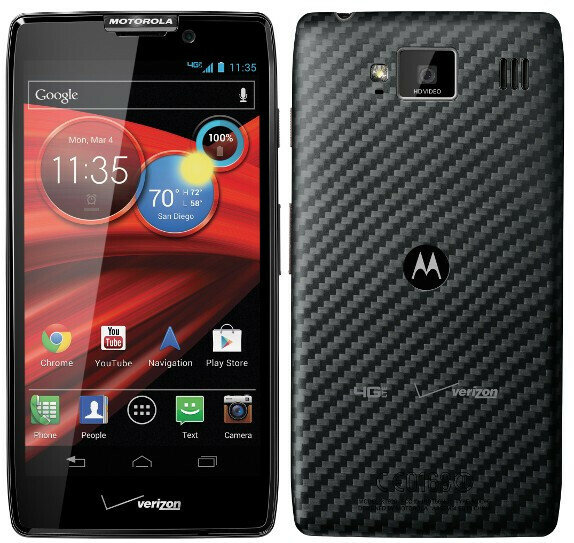 And don't forget the Motorola DROID RAZR M with its edge-to-edge screen for just $49.99. Anyone picking up one of these three models will also walk away with a free cranberry colored Motorola DROID RAZR for nothing more than the ink spent signing your name on a two-year contract. Other deals include the HTC DROID Incredible 4G LTE, originally $99.99, now $49.99 on contract. The Pantech Marauder drops from $49.99 to free while the LG Lucid is now free from its $19.99 price. These deals also require you to put your signature on a two-year pact. 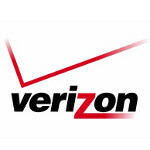 So, Verizon customers, will you be using your upgrades on one of these holiday deals? yeah but it's when you upgrade from Verizon that you can possibly keep your unlimited data. i did it with my MAXX HD. No doubt Amazon is king when it comes to price. However after a nightmare debacle of Amazon sending me extra phones, i am done ordering from them. No amount of savings is worth the headaches I had to go thru to get that resolved. Plus you are signing 2 contracts instead of one. Just pray everything goes smooth if you go thru them! Yay, bloatware loaded phones FTW!